The Bai Yi are the former slaves of the fearsome Nosu tribe. In the 1950s they were freed by the Communists and the yoke of slavery was broken. 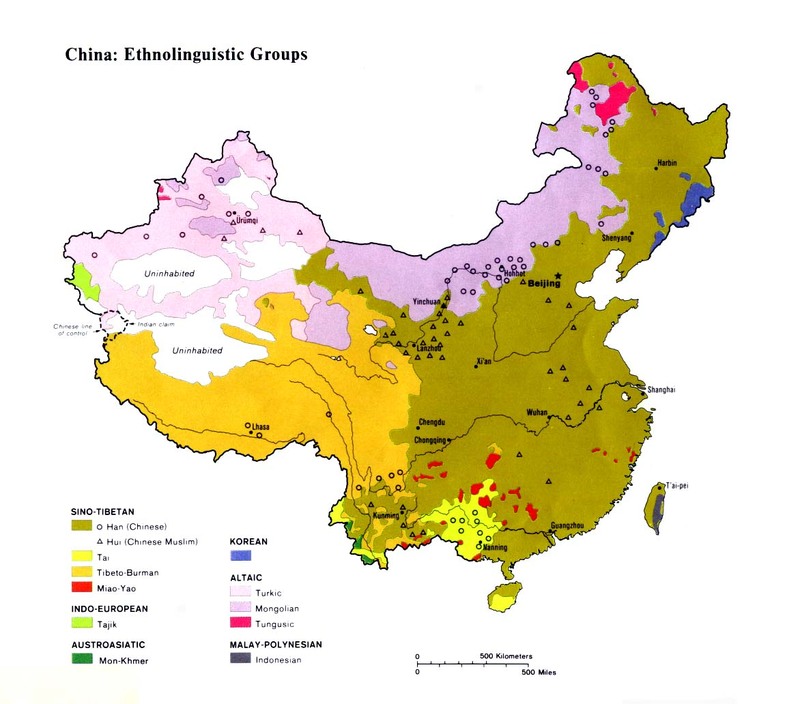 * Thousands of people who had been enslaved for decades were relocated to the southern Sichuan area. It is important to note this Profile only refers to those slaves who banded together to form their own communities after their liberation, and not to the lower class of Yi also formerly known as the White Yi. These latter White Yi have seen their low status gradually vanish. Today they are virtually indistinguishable from the Black Yi, the former ruling class. 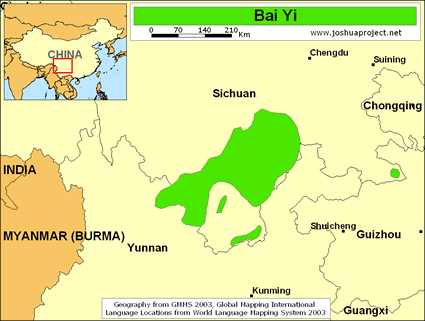 The Bai Yi speak a different language from the many other groups called "Bai Yi" in southern China. Until the 1950s, Nosu tribesmen regularly raided Chinese villages and seized the inhabitants to use them for slave labor. 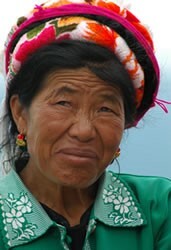 The Bai Yi, many of whom are a Yi-Han ethnic mix, are the descendants of these slaves. Samuel Clarke was one of the first to document their plight in 1911: "It is not uncommon to meet Chinese slaves, boys and girls, in Nosu families. They have either been kidnapped and sold, or their parents, unable to nourish them, have bartered them in exchange for food. ... The masters have absolute control over them. The girl slave he marries to other men's male slaves. The lot of these unfortunate people is hard beyond description. Being looked upon as of little more value than the cattle they tend ... the cruel beatings and tortures they have endured have completely broken their spirit, and now they seem unable to exist apart from their masters. Very seldom will any of them try to escape, for no one will give them shelter, and the punishment awarded to a recaptured slave is so severe as to intimidate the most daring. ... These poor creatures are born in slavery, married in slavery, and die in slavery." The Bai Yi could scarcely believe it when they were liberated from the grip of the Nosu. One former slave explained, "In the beginning ... everyone was skeptical and refused to believe the ganbu's [cadre's] promises to end slavery. But then a few who dared to run away from their masters were protected by the ganbu and allowed to start new lives. Word got around, and eventually we all became free." The Bai Yi contain a mixture of polytheists, animists, and atheists. In the past a few Nosu slave owners who became Christians "changed their slaves into tenants, thus showing the way to the solution of this difficult problem. Missionaries were barred from speaking to the slaves and saw no hope for their conversion. One wrote, "Of the Nosu there are some believers. ... Of the serfs - well, what chance has a slave, anyway." There are presently only a handful of known Bai Yi believers. View Bai Yi in all countries. Location in Country: Approximately 20,000 Bai Yi (White Yi) live along the Sichuan-Yunnan border, especially around the town of Panzhihua.